No matter how you slice it, the spike in industry-wide 3D printing revenues over the past 5 years has been impressive. A close look at that growth, however, reveals something interesting: it’s been disproportionately driven a small handful of vertical markets. Of these select markets, none has been as influential as MedTech. 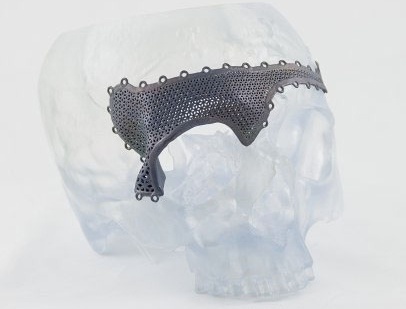 Metal-based additive manufacturing (AM), in particular, has proven to be perfectly suited to meet a number of needs in medical and dental device production. Bringing a new product to market in the MedTech sector can be expensive. Understanding the FDA guidelines for each aspect of approval can help ensure that your 3D printed devices aren’t set back by surprises after the product development phase should have been completed. The range of materials that can be successfully used in metal AM is widening. As the possibilities expand, it’s natural for MedTech manufacturers to wonder which materials are best suited to their new products. In terms of FDA approval, however, there is no one-size-fits-all answer. The agency grants approvals based on the intended uses of specific new devices, not the overall “safety” of a given material type. It may help to consider an example. The FDA, for instance, could approve a back brace made of a special aluminum alloy. It may not, however, approve the exact same alloy for use in a spinal implant after trauma. It’s situational. For that reason, manufacturers shouldn’t make material choices based on what’s been approved for unrelated applications. In 2016, the FDA released a draft guidance document entitled Technical Considerations for Additive Manufactured Devices to help device designers better plan their 3D printed products. While this guidance is not yet in legal effect, the Design and Manufacturing portion of this draft addresses some of the technical considerations that go along with 3D printing a medical or dental device for market. Classification by product type is the primary determinant of which FDA guidelines a product must meet. The Design and Manufacturing section contains information on which Quality System (QS) requirements must be met depending on product classification. This draft guidance was produced with AM in mind, so it’s an excellent resource for designers to consult and tailor their process toward. Sufficient testing documentation is an important box to check for any product seeking FDA approval. The product characteristics that must be reflected in device-makers’ test results can differ based on classification, and the Device Testing section of the guidance provides some clarity on that. Most new devices seeking approval will require some form of premarket submission. These submissions are essentially data documents that give the FDA context on a product’s functionality. How detailed the submission needs to be depends on classification and other factors. Using the Device Testing section of the FDA’s guidance can ensure a product development team doesn’t under-test and suffer a setback. While getting a new medical or dental device to market varies from case to case, navigating the production process is repeatable. 3DEO has worked with a wide variety of manufacturers in MedTech to successfully develop innovative new devices. We have the background to help you navigate evolving FDA guidelines. 3D printing is changing the MedTech space as we know it. If you’re interested in learning more about how 3DEO can help your business adapt, contact us or request a quote today. About 3DEO: 3DEO makes high quality metal components with our proprietary metal 3D printers. We specialize in manufacturing low/medium volumes on demand, which means there’s no need to worry about long lead times, minimum order quantities, or high tooling/setup costs. 3DEO makes high quality metal components with our proprietary metal 3D printers. We specialize in manufacturing low/medium volumes on demand, which means there’s no need to worry about long lead times, minimum order quantities, or high tooling/setup costs. Click the button below to join our email newsletter for monthly valuable information about metal 3D printing!